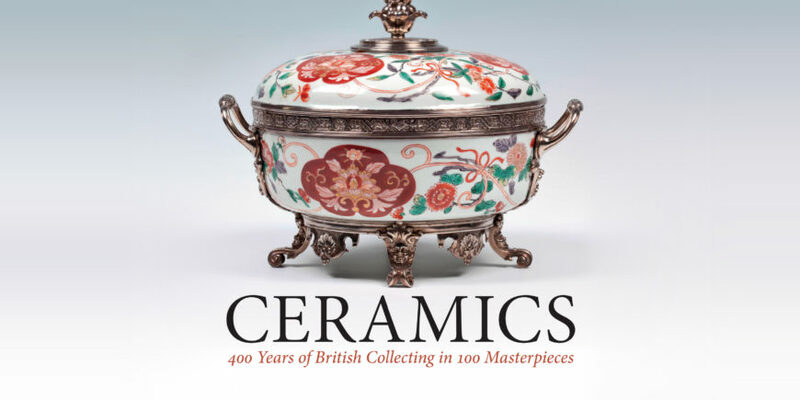 Patricia F. Ferguson, Ceramics: 400 Years of British Collecting in 100 Masterpieces (Philip Wilson Publishers Ltd, November 2016), 256 pp., £45. Patricia Ferguson’s beautifully produced book focuses on 100 highlights from the ceramics collections of the National Trust. With more than 80,000 items displayed in some 250 historic houses throughout England, Wales and Northern Ireland, the National Trust possesses one of the largest and most diverse collections of ceramics in the world. Ranging in time from Ancient Greece to the Arts and Crafts movement, its highlights encompass rare treasures from imperial China and Mughal India, spectacular Italian Renaissance maiolica, outstanding French porcelain of the eighteenth century and some of the greatest works of factories ranging from Meissen to Wedgwood. Acquired over four centuries, each of these remarkable objects has a story to tell: of exploration and international commerce, technical innovation and high fashion, extravagant collectors and family pride. Grounded in original archival research and superbly illustrated, this book will appeal to specialists and non-specialists alike in its exploration of the history of taste, manners and British collecting.